If you're unfamiliar with the Warhammer 40,000 Lore, check out our lore-related posts. Today, we look at some basic information about Inquisitors. Note that this is a broader lore summary, not strictly related to Inquisitor - Martyr or the Caligari Sector, but a good starting point to know more. They are agents of the collective organization known as The Holy Orders of the Emperor’s Inquisition. Although they have various methodologies and can belong to different Ordos, they ultimateley serve the Emperor and the Imperium of Man (the intergalactic empire of mankind in the 41st millennium). Who can be an Inquisitor? There is no specific background that is required for an Inquisitor, as anyone who shows talent, can be recruited by other Inquisitors, for instance. Most of the best Inquisitors come from the Schola Progenium, an academic environment where orphans are indoctrinated at an early age. What are the duties of an Inquisitor? Most importantly: they serve the Emperor, they investigate and deal with potential threats to the Imperium and humanity. This can be a physical threat, such as enemies of the Imperium, but it can be a moral threat, such as heresy (treasons of tought and faith, or an act against the ways and creed of the Imperium). Are there different kind of Inquisitors? Of course, there are multiple Inquisitorial Ordos who deal with different kinds of threats. The major ones are Ordo Malleus (against daemonic threats), Ordo Hereticus (against heresy), and Ordo Xenos (against alien forces). In a different approach, there are puritan and radical Inquisitors who will use different kinds of resources against the threats to the Imperium. They show variety in their equipment and abilities: there are excellent fighters, who aren’t afraid of gearing up with the heavy equimpment and deal some damage themselves, and there are some Inquisitors who have the ability to use psychic powers (psykers). There is no “official” restriction of how they operate as long as they serve the Imperium effectively. Does an Inquisitor have superiors or subordinates? Experienced Inquisitors can declare that they serve the Emperor directly and have unlimited authority. They aren’t required to belong to a specific Ordo, but in most cases, they do. They can be accompanied by a group of acolytes who are servants and effective agents in the Inquisition. What do we know about the Inquisition as an organization? The Inquisition is divided to Ordos, each entitled to a specific duty, like the Ordo Xenos, defending against alien threats. The three major Ordos are called the Ordo Majoris, but there are several smaller orders, the Ordo Minoris, like the Ordo Sepulturum whose focus is dealing with and examining the relatively new threat presented to the Imperium by the emergence of Plague Zombies and the Nurgle-spawned Zombie Plague, or the Ordo Aegis who stood vigilant and the Cadian Gate, the last stance of the Imperium before the Eye of Terror. In terms of hierarchy, the Inquisition follows a far less rigid structure than any other Adeptus of the Imperium, since in many aspects it is not a formal organization. Seniority and influence are the truest measures of an Inquisitor’s authority. The exceptional members of an Ordo are named Masters, who are generally senior Inquisitors in a sector or sub-sector. The Grandmasters are Inquisitors who are governing the activities in a sector, they are also known as Lord Inquisitors or High Inquisitors, though it is fair to mention that the title is sometimes bestowed on a highly renowned member of an Ordo who is not executing governing activities. The group of Inquisitors working in a sector, or sub-sector is known as Conclave. Below the rank of the Inquisitors are the Inquisitorial Henchmen. These henchmen are the agents of an Inquisitor and can fill in a wide spectrum of roles. Acolytes, or Interrogators, Explicators – are generally apprentice Inquisitors, waiting to receive their own initiation to the Holy Ordo and mostly acting as the second to the Inquisitor they serve. Chiurgeons – are the medics, who can vary from a med-bay doctor to an Adeptus Mechanicus Cybernetica savant. Mystics – are the psykers in the employment of the Inquisitor, who could be Astropaths, Navigators, Sanctioned Psykers, etc. Savants – are the “learned people” assisting the work of the Inquisitor with their knowledge and ability to process large amounts of information. This role could be filled in by an Autosavant, a Cult Mechanicus Lexmechanic, etc. Warriors – are the muscle in the party. Ex-Imperial Guard, Ex-Arbitrator, hired mercenaries and so on. The Holy Inquisition is not only divided by Ordos and by seniority, but by philosophy and political viewpoints. Due to the nature of the Inquisition, it is inevitable for the Order’s servants to give an interpretation of the Emperor’s Divine Will, these explanations create the Puritan and Radical axis that can surface in any Ordo and have numerous sub-factions. The Puritans are a more conservative side, believing that the status quo must be upheld in the Imperium, and dabbling with the forces of Chaos and Xenos technology is heresy in all forms and should be shunned under all circumstances. The Radicals say that battling the Enemy justifies all means, even using its own weapons against it. They employ xenotech, bind Daemonhosts, even going as far as using Chaos sorcery to fight fire with fire. Both belief-systems have a plethora of sub-factions. For example the Puritan Thorian faction aims to resurrect the Emperor, the Radical faction of Horusians, who originated from them, believe that this can be achieved by binding the forces of Chaos to their service. The Puritan Amalthians think that the current situation of the Imperium and the Emperor is according to His plans, therefore the status quo must be maintained at all cost, Amalthians tend to work closely with the sectors government and other Imperial authorities. The Radical Recongregationists believe that the Imperium became corrupt through the millennia and must be rebuilt completely, they even aid anti-Imperial cults and covens, who could be of assistance in their grand scheme. The extremist Monodominant faction of the Puritans says that all identified enemies must be purged without reprieve, no matter the costs. They are amongst the most militant factions, fighting a tireless war against all threats of Man, and notorious for the frequent employment of Exterminatus. To a Monodominant, the sacrifice of millions innocent lives is a worthy price to be payed if it ensures the complete destruction of the Enemy. The Xanthist faction is on the Radical side and is widely known for the employment of xenotech, daemonic weaponry and other edifices of Chaos. Xanthists want to harness the power of Chaos for Mankind’s sake, using it as ultimate weapon against the Dark Gods. 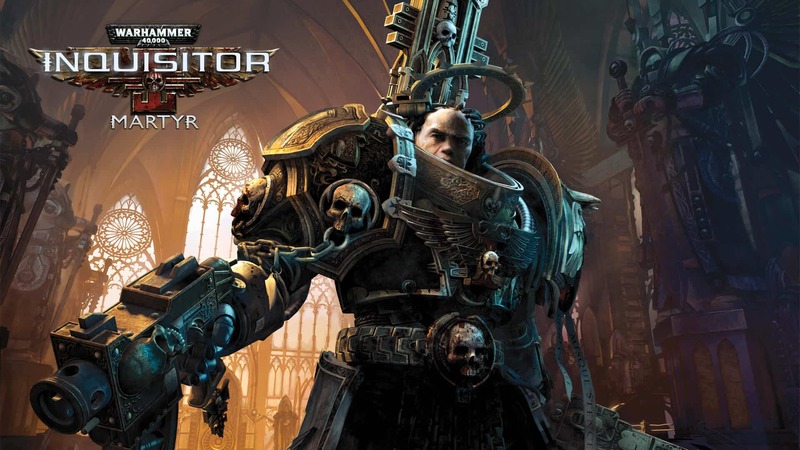 Remember, this is just a basic introduction, and if you want to experience the lives of the Inquisitors, we suggest you read Ian Watson’s “The Inquisition War” or Dan Abnett’s wonderful trilogies “Eisenhorn” and “Ravenor”. Or, alternatively… you might want to try our Action RPG titled Warhammer 40,000: Inquisitor – Martyr. That’s a fairly good option too. I had no idea on w40k before this game. Awesome write up. Go look up the Inquisition on 1d4chan, it fills in the more intricate details left out in this summary, despite it's satirical nature. - Codex Imperial Agents, which also highlights other important agencies in the Imperium!